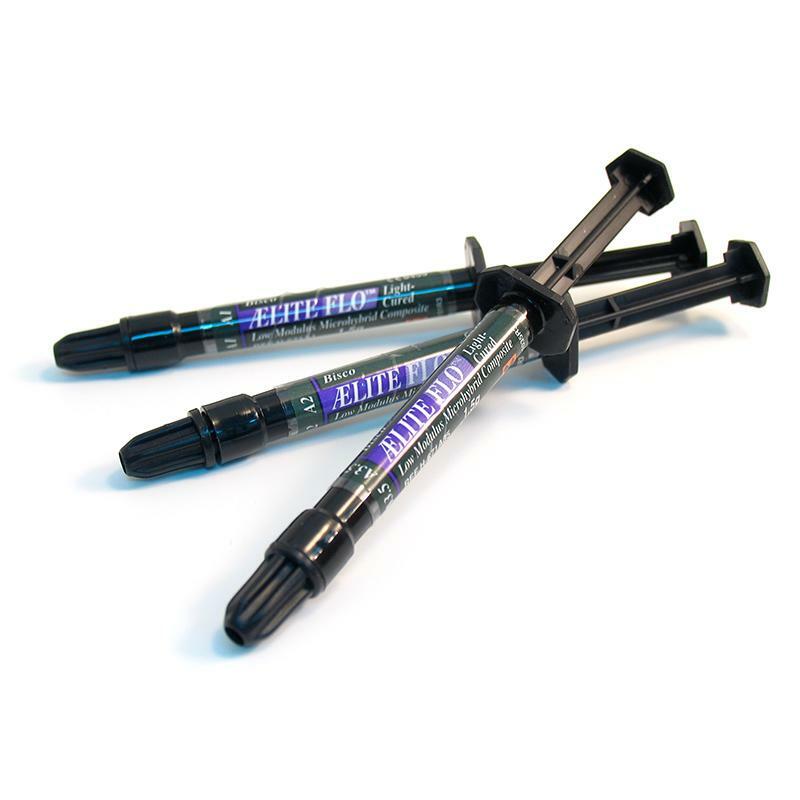 AELITEFLO is a light-cured composite with flow characteristics which make it ideal for Class V restorations, as well as Class III`s and small Class IV`s. Other uses of this material are as a liner for Class I and II restorations, pit and fissure sealants, the repair of marginal defects, small core build-ups, blocking out undercuts, porcelain repair, porcelain veneer cementation or as a flowable composite for bonding fibrous splints into place. AELITEFLO was specially developed with a patented long chain monomer which supplements the conventional Bis-GMA resin to provide a more elastic composite. This allows restorations to flex with the tooth for improved marginal integrity and overall restoration longevity.